This week we bring Minda Harts creator of The Memo to help you get your seat at the table. Minda is the founder of The Memo LLC, a career development company for women of color. In 2016, Minda was nominated as a Change Maker at The White House State of Women Summit. 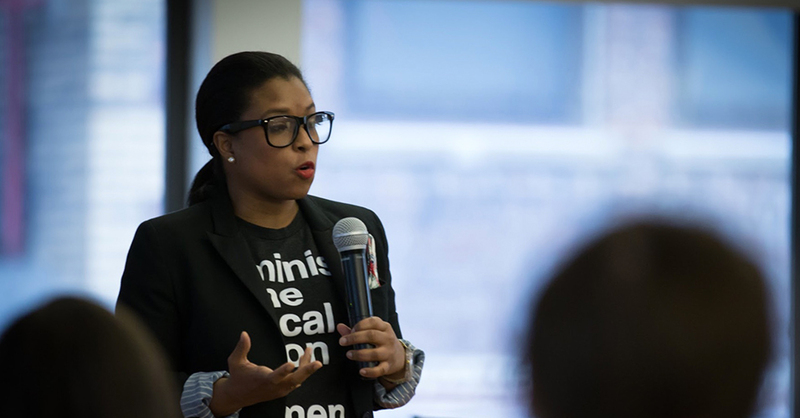 After spending 15 years as the only black person and female at her corporate job, Minda saw the disparity and narrative as unfavorable to minority women and wanted to change it. Minda’s goal is to make sure every woman understands she has a seat at the table and there are ways to get there with your character and integrity intact. Get ready to take extensive notes! Listen to this week’s episode and start making the changes that will positively shift your career. Minda walks us through how being the only minority in her job opened her eyes to helping other women. How you can begin to change the narrative your company says by letting people get to know you. Being a change agent not just for yourself, but for others that will come after you.